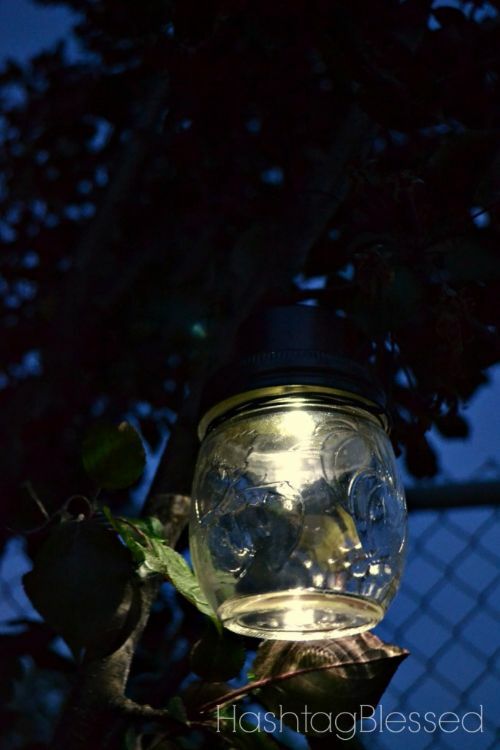 If you're looking for a simple way to add a little personality to your backyard (or your camping trip) on a dime, these solar powered lanterns are easy to make and they're affordable too. You'll love that nearly anyone with a little crafting skill can tackle these in about an hour. We've featured three versions that are all just a little different. We think you'll like them all! 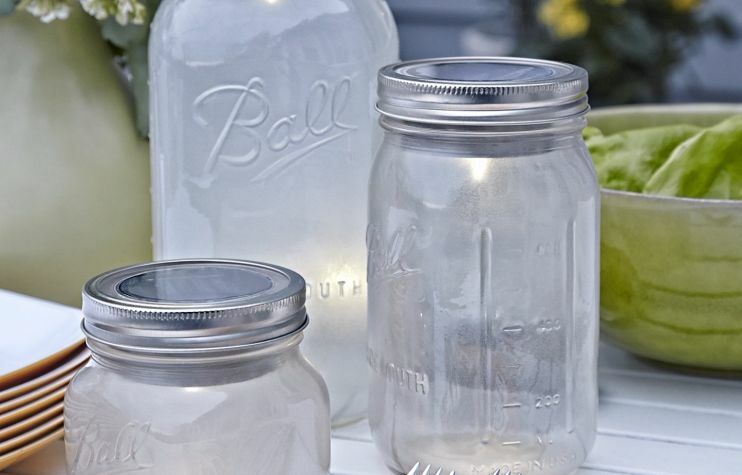 This simple version of a mason jar lantern adds light without killing the budget! 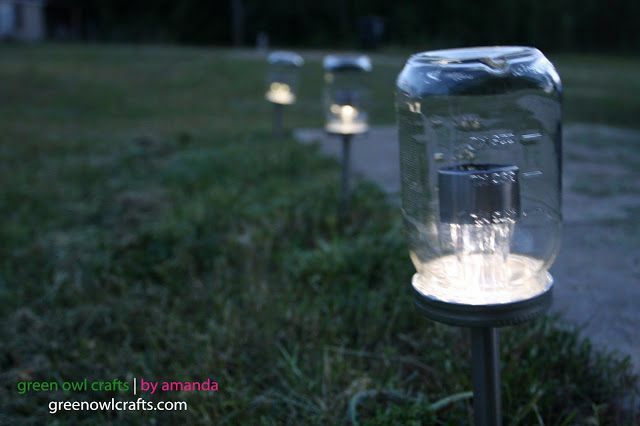 Using solar powered lights, mason jars, some glue, tape and a screwdriver, you can create adorable lanterns that will create a cozy atmosphere on the cheap. After screwing a hole into the lid of the jar, and sliding the light through, you can set these on a table or hang them with some string. Check out the adorable craft from Hashtag Blessed. This blog follows Chandra and her family as she whiles away the cold Canadian hours being a mom and working on projects around the house. Pro: Cheap, easy. Clean and classic. Con: Nothing really except it looks less finished compared to the second one on this list. This version of the project provides a more subdued, finished look. But it takes a bit more time. 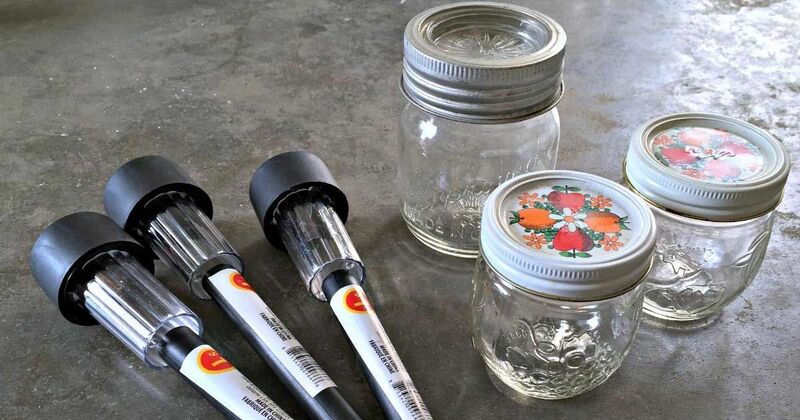 You'll need to spray the jars with a light coat of paint, cut out plexiglass circles, remove the solar cell from the light and attach it to the plexiglass which will go on the underside of your jar lid and let it set. You can find the full tutorial on this project from This Old House, most known for their television shows This Old House and Ask This Old House. The blog covers a wide range of DIY projects for homeowners around the world. Give your garden walkway a romantic glow that requires little maintenance. You'll need sturdy solar lights with long bases to shove into the ground Then you just need to cut a hole in the lid and slide the base through the hole. Make sure the base of your light rests on the lid, then attach the glass jar and plant it in the ground. Check out the full project from Green Owl Crafts, which features posts about recipes, home decor, and family life by Amanda Baity, a wedding photographer, and photo editor. Do you love these ideas? Make sure to share these ideas with your friends on Facebook let them choose idea is their favorite!